And if you still have any doubts, September is just great for tourism in Spain. But if you love horse riding you must check our latest activity. Son Angel Horse Riding Stables is a Company dedicated to organising horse riding trails in Menorca. We specialise in tours of the Cami de Cavalls (a very old horse trail covering all of the island) covering routes for riders of different levels of experience starting with between one and three hours for beginners going up to five day routes for experienced riders. Activities on land Menorca offers unique opportunities for combining the practice of sport with enjoyment of nature. Horse-riding is a particularly popular activity, with horse-riding clubs at Maó, Ferreries, and, above all, Ciutadella. Another interesting possibility for combining horse-riding with contemplation of nature are the routes on horseback along country lanes and tracks. Happy Summer Holidays 2014 !!! Happy Summer and Happy Holidays 2014 !!! 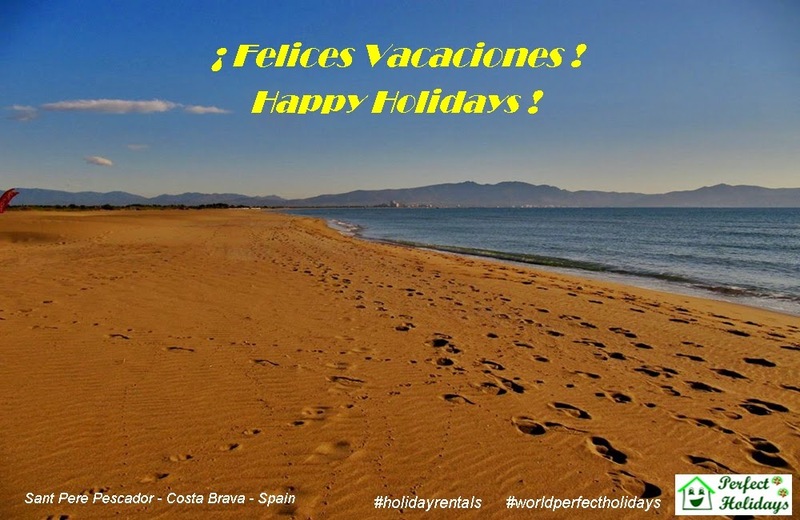 from our team #worldperfectholidays your #holidayrentals #alquilervacacional ﻿ !! !